The two brewing companies should reconcile their differences, say PR pros. It’s time for MillerCoors and Anheuser-Busch to bury the hatchet on the #corntroversy battle, PR pros say. 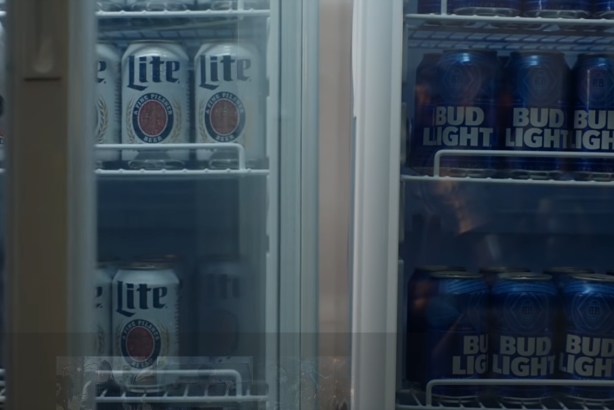 The beer wars started nearly two months ago, when Bud Light’s Super Bowl LIII ad took a shot at Miller Lite and Coors Light for including corn syrup in their ingredients. Since then, the brands have been publicly brawling via various ads and stunts. But last week, the light-hearted brew-haha took a somber turn when MillerCoors filed a lawsuit against Anheuser-Busch, seeking an injunction to stop Bud Light’s ad campaign. MillerCoors’ lawsuit alleges Bud Light engaged in "a false and misleading advertising campaign" by saying it brews its products Miller Lite and Coors Light with corn syrup. Pete Marino, chief communications and public affairs officer at MillerCoors, notes that while those products do use corn syrup as a fermentation aid, it is not present in the final product. Ultimately, Bud Light misled the public, the suit alleges. The brand also took advantage of consumers’ lack of knowledge of the difference between corn syrup and the less healthy high fructose corn syrup. After watching the two brewing giants trade blows for eight weeks, experts interviewed by PRWeek say the lawsuit is too much. "To quote a recent court case in another context, somebody lost their sense of humor," says David Leichtman, the managing partner of Leichtman Law and an expert in intellectual property. Before this lawsuit, the two brands waged creative skirmishes. MillerCoors’ retaliation campaign debuted new creative work during March Madness as a way to remind consumers that "in the real world, taste is what matters," Marino says. Prior to that, MillerCoors launched "The World’s First Smart Beer Tap," where people could collect up to two free Coors Light beers whenever Bud Light said something negative about them in select locations. "It was the ultimate ‘I’m rubber, you’re glue’ move," says Adam Ritchie, principal of Adam Ritchie Brand Direction, via email. "It turned another brand’s negativity into a positive." After "creatively crushing" Bud Light in that campaign, MillerCoors should’ve ceased its attacks, Ritchie says. A plurality of people polled on Twitter by PRWeek (42%) said they’re tired of the #Corntroversy, compared to 28% who said they want it to continue. Another 10% said it’s good for both brands, while 20% said Bud Light is on the losing side. But neither MillerCoors nor Anheuser-Busch seems willing to budge on the issue. Asked when he expects the feud to end, Marino puts the onus on Bud Light, saying, "I have no idea, ask them." If he could speak directly to Bud Light, Marino says he’d tell them, "Really? Really? I’d give them a hearty ‘really’ a few times," riffing on a "Saturday Night Live" Weekend Update skit. Gemma Hart, VP of comms at Anheuser-Busch, told PRWeek in a statement that business will continue as usual. "MillerCoors’ lawsuit is baseless and will not deter Bud Light from providing consumers with the transparency they demand," Hart concludes. "We stand behind the Bud Light transparency campaign and have no plans to change the advertising." MillerCoors admits it uses corn syrup in its own marketing material, including a full page ad in The New York Times, as well as its own lawsuit, Hart adds. "Those beers are brewed with corn syrup; Bud Light is not. These are facts," Hart adds. Dan Pooley, a founding managing partner at Finn Partners and the leader of Finn Midwest, says he thought the feud was more interesting before it became a litigation matter. "Now, it ups the ante from healthy brand competition to a legal challenge," Pooley says. "It changes the playing field. I’m not sure how consumers will respond to that." Leichtman says MillerCoor’s injunction motion sounds like a stunt. The fact MillerCoors didn’t ask for preliminary relief signals to Leichtman that the plaintiff isn’t confident it can immediately reach the high bar for evidence establishing Bud Light’s ads have hurt its market share. Marino says Miller Lite and Coors Light sales have "stayed pre- and post-Super Bowl along the same trajectory." "My read on the situation is the lawsuit is almost like a PR stunt," Leichtman says. "It’s less expensive than making their own ads. Instead, they can use social media to say they sued to stop [the campaign]. The likelihood of a court granting an affirmative injunction is extremely low." Leichtman says he doubts MillerCoors can ultimately establish Bud Light hurt their sales. To show Bud Light misled customers, MillerCoors would have to conduct expensive surveys demonstrating consumers were confused, Leichtman adds. "Frankly, the remedy really should be that MillerCoors can put out an ad of its own and give its position to the public," he says. "This is not David and Goliath here. This is Goliath and Goliath." Marino says Miller Lite will continue to lean into its taste message, while Coors Light relies on its "most refreshing beer" positioning. MillerCoors and Anheuser-Busch’s focus on ingredients may portend a new kind of brand wars, Pooley says. Previous brand skirmishes were based on more practical facets of consumer preference, such as service, speed, and taste. Pooley wonders if this new focus on ingredients is a reflection of changing consumer habits as beer brands try to differentiate themselves. "Consumers might think it’s much ado about nothing, or [wonder] if the corn syrup question is relevant," Pooley says. "But when [media outlets] talk about the demon of corn syrup and [the topic is] sticky with consumers, it says something about where we are in brand and product choices." According to MillerCoors’ lawsuit, Bud Light CMO Andy Goeler told Beer Business Daily that "[AB] did focus-group the heck out of this ad, and found that consumers generally don’t differentiate between high fructose corn syrup and corn syrup, and that it is a major triggering point in choosing brands to purchase, particularly among women." Stirring confusion over the difference between corn syrup and high fructose corn syrup is "bad for the entire beer category," Marino adds. Marino says Anheuser-Busch uses corn syrup in some of its own products, such as Bon & Viv Spiked Seltzer and Stella Artois Cidre. "They say it’s about transparency, but apparently it’s only about their own brand, Bud Light," Marino adds. "It’s quite peculiar for the dominant category leader to take an approach like that. If you think about Coke and McDonald’s, for example, they never respond to their smaller competitors, so that’s interesting."